We’re delighted to hear that Ireland’s Gender Recognition Act is now being signed into law. Today (Friday 4th September), TENI warmly welcomed the announcement that the Tánaiste and Minister for Social Protection, Joan Burton, had signed the Commencement Order for the Gender Recognition Act 2015. This will enable trans people to be formally recognised in their preferred gender for all purposes by the Irish State for the first time. As of Tuesday 8th September trans people will be able to apply for a Gender Recognition Certificate from the Department of Social Protection and subsequently obtain a new birth certificate. TENI will continue to advocate for the meaningful inclusion of young, intersex and non-binary people in the Gender Recognition Act. TENI will also have a step-by-step guide to applying for a Gender Recognition Certificate on our website (www.teni.ie) next week. The application form for the Gender Recognition Certificate will be available on the Department’s website (www.welfare.ie) on Tuesday 8th September with further background information. The application form can also be obtained through the post by contacting Client Identity Services, Department of Social Protection, Shannon Lodge, Carrick-on-Shannon, Co. Leitrim, N41 KD81 or by phone at 071 9672659. Contact TENI’s Chief Executive, Broden Giambrone, on 087 135 9816 or director@teni.ie. Transgender Equality Network Ireland (TENI) seeks to improve conditions and advance the rights and equality of trans people and their families. www.teni.ie / 01 873 3575. On May 5th, the EU Commission published a report on the implementation of the Gender Goods & Services Directive stating that anti-discrimination law should apply to all trans people. The EU doesn’t specifically mention trans people in any of its equality legislation, but they had previously ruled in 1996 that the EU gender equality principle should be extend to cover people discriminated against because of gender reassignment. 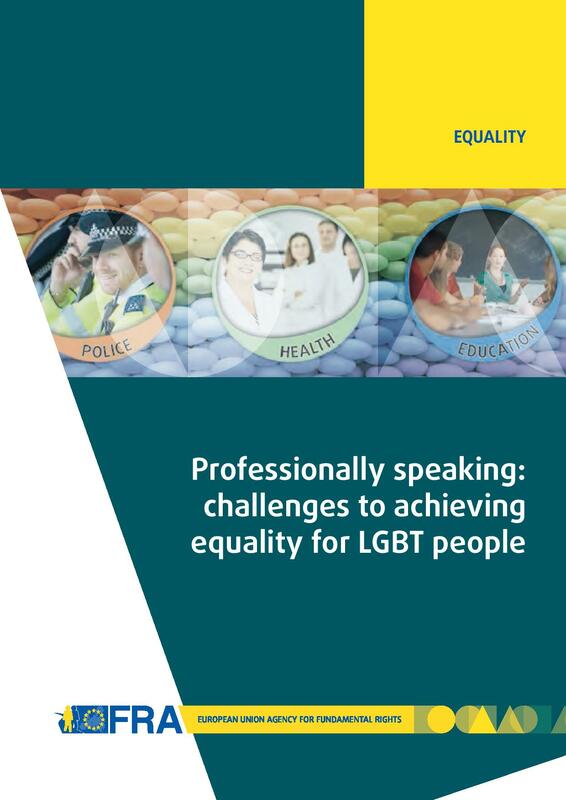 In publishing this new report, they have now gone further and stated that these protections should be extended to people facing discrimination because of gender reassignment or gender identity. The Danish Parliament has passed the most progressive gender recognition legislation in Europe. The new law will enable people to have the gender they identify as legally recognised without any requirement for them to have a diagnosis or have undergone medical treatment. Unfortunately applicants will have to be at least 18 years old to access gender recognition but the only other requirement is a six month waiting period between making an application and receiving gender recognition. It is very encouraging to see European gender recognition legislation which much more closely matches Transgender Europe’s best practice check-list. Malta currently has a similar law progressing through Parliament. Argentina continues to have the world’s most progressive gender recognition law, it doesn’t have a waiting period and enables people under 16 to have their gender recognised with additional requirements. Although existing state law already banned discrimination based on gender identity, this new law breaks new ground in specifically ensuring that all children in California schools will be allowed to participate in the full school experience including sports, programs and activities that match their gender identity. Great news that the pressure on Russia is continuing to grow. Lets use our strong ties with the Russian people to bring an end to human rights abuses in that country. From San Diego, California USA. Some great photos and self-descriptions of gender identity are showcased here.